A repeat of the successful production from 1995. 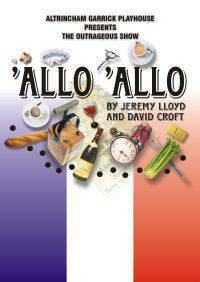 Based on the popular TV comedy series, this stage version follows the adventures of Rene, hapless cafe proprietor, and wife Edith in war-torn occupied France. Rene is hiding two British airmen and endeavouring to get them repatriated. Matters come to a head with the news that the Fuehrer is to visit the town. The cafe is soon filled with Hitler impersonators and Rene has to summon all his wiles to save the cafe and his life. If you are among the countless fans of this now classic series be sure to book your seat early.